Apologies for being gone for a while; I have a new RL baby and will try to post as I can….like now! Morgana Nagorski has another new inworld photography show, “Serenade,” at the Symphony sim and combines lush landscapes with intriguing figure shots over three floors of the compact gallery. I really like Morgana’s work as most everything in the show appealed to me, but I must mention that the gallery itself was a little odd…the wall textures were inconsistent in spots, and there were thin black lines running across my viewer (perhaps shadow prims gone wild?). Regardless, don’t let those technical matters detact you from a very impressive show. 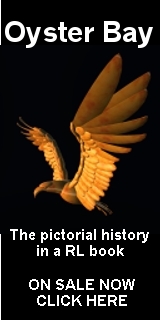 Morgana is quite a photography talent! 44 out of 1,200. Not bad. Guess I’d better start writing some more about the grid art scene – or get some help! 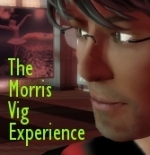 I think it’s best to de-link the increasingly personal nature of my blogging with the Second Arts blog, so I’m starting a second blog – The Morris Vig Experience – to focus on my random musings over things SL (and RL). 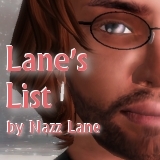 Second Arts will focus more more tightly on things related to the Second Life arts scene. Get all of your sweet, crunchy, nutritious, Viggy goodness at the link above. Hope you like it! Jazz by the Sea Gallery presents the Second Life art of Barrowness Beaumont, Morris Vig, and Cala Rossini. Come! Take in Barrowness Beaumont’s gorgeous dreamlike landscapes; Morris Vig’s wonderful, thought-provoking SLscapes populated with avatars going about their SLives, and a selection of Cala Rossini’s award winning SL photo art! In addition, Jazz Calhern, owner of Jazz by the Sea Gallery, has scattered a collection of her breath-taking avatar art among the flowers and birds in her garden by the sea! Come and see, and listen to lovely streamed Irish music! That’s right, my first-ever photo exhibition. 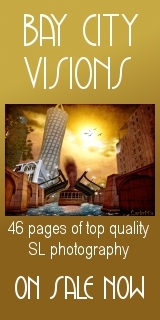 Jazz Calhern (who, as opposed to me, is a really good inworld photographer) has been on me to show some photos. I finally caved…and we’re almost to the opening of the show! There will be three photographers (including me) in the gallery, and Jazz is setting up a park-like photo walk. Here’s to the new administration – one that’s already planning to close Gitmo!